Readers like to interact with their favorite authors and their favorite characters. One fantastic way to let your readers do this is to create a Which Character Are You? quiz. I recently set one up for a Facebook Party I threw for my book, A Time to Die. Here are some things I learned through the process, some advice, and a little how-to. Playbuzz — this is the one I used and the site I’ll be basing this post off of. Make a list of the questions you want to ask the quiz taker. I recommend about 10-15 questions. Have pictures to use — one picture for each question and one picture for each character result. You don’t have to have pictures, but it brings your characters more alive to the readers and quiz takers. I used stock photos. If you don’t have photos, you could just use a nice font with a background that fits the theme of your story. Know which characters you want to have as results. Try to have a good mixture of men and women. I had eight results. I’ll be walking you through setting up a quiz through Playbuzz. Start by creating a free account. After that, you’ll click Create Quiz and I chose the Personality Quiz option. This will then take you to a page where you get to fill in the blanks for the next 20 minutes or so. Under each question, it will allow you to enter the different possible answers and, underneath that it says associate results with a 0, 1, or 2 number option. This is where you list every character and you associate how well that particular answer associates with that character. On these first three options, Parvin (my main character) is completely focused on being remembered, so she gets a 2 under to be remembered. But her brother Reid doesn’t really care about being remembered, so he gets a 0 there. However, Reid is torn between wanting to explore the world and spend it with family, so he gets a 2 under both those options. After you’ve associated a number for each question to each character, these associated results will add up as your reader takes the quiz, leaving them with a final character result. I recommend trying to find questions that have limited answers (4-8 options.) Four is best. I didn’t do this with my first quiz and I think it made it a little too confusing. Then it was hard for me to really focus on which characters did what. But don’t worry, you can always go back and edit it at any time. This is where you’ll find yourself digging deeper into your characters than you ever have before. It got me thinking that I might even create a quiz before writing a book (and keep it private) to help me with character development! It helps you engage your audience. People who have read your book will love to do this! This one is nice and simple, everyone likes seasons and it will be a good way to start the quiz with them leaning toward one character or the other. Does your character have to fight with a weapon they’ve never used before? Make that a question. Etc. Take a look at my quiz for A Time to Die and let me know which character you got! What are some things you liked or didn’t like about the way mine was set up? Log those preferences away and use them to make your own quiz that much better. 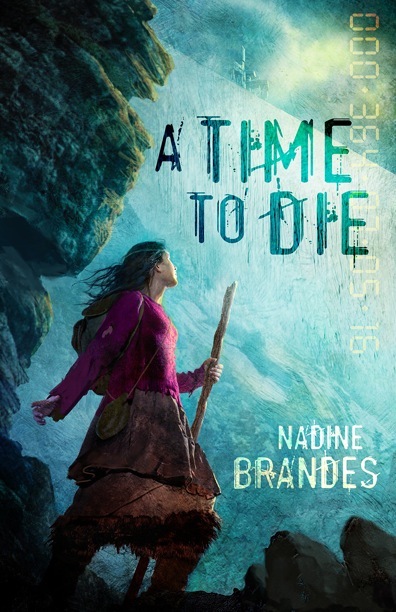 Nadine Brandes is an adventurer, fusing authentic faith with bold imagination. 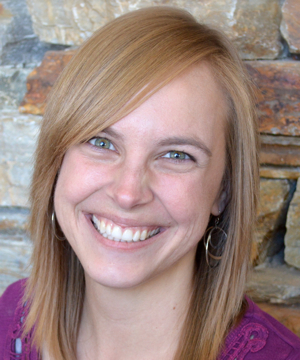 She writes stories about brave living, finding purpose, and other worlds soaked in imagination. Her debut dystopian novel, A Time to Die, released fall 2014 from Enclave Publishing. When Nadine’s not taste-testing a new chai or editing fantasy novels, she is out pursuing adventures. She currently lives in Idaho with her husband. You can find out more about Nadine and her books at http://nadinebrandes.com or on Facebook.